Did Women Beat the Right's Point Man? Limbaugh and the Tea Party crowd drove out the moderate woman, but Conservative Doug Hoffman still lost his race. Max Blumenthal says far right's virulent attacks are what really did him in. On a night when conservatives expected a landmark victory in New York’s 23rd congressional district, the movement’s anointed candidate, Doug Hoffman, instead went down in a startling defeat to Democrat Bill Owens. The official Republican candidate, Dede Scozzafava, had dropped out days before and thrown her support to Owens after the conservative movement backed Hoffman in a campaign to destroy her, attacking her as a closet socialist with a cynical, hidden agenda—the same terms they have used to demonize President Barack Obama. Hoffman’s rejection by rank-and-file voters in a solidly Republican district dampened the conservatives’ mood on an otherwise upbeat night and raised serious questions about the movement’s attempt to purge moderates from party ranks. Now, many of Hoffman’s right-wing cheerleaders are struggling to explain their dubious gambit, while others fear repercussions for their zealotry. “Watch [Owens’ victory] be spun as a defeat for Sarah Palin and the hateful extreme right-wing of the Republican party,” National Review online editor Kathryn Jean Lopez warned on the conservative magazine’s blog. She added: “(Hi! See George Pataki standing next to me? ),” referring to the moderate Republican former New York governor and failed presidential candidate who basked in publicity after endorsing Hoffman. The five percent protest vote that Scozzafava garnered, even though she dropped out, will almost certainly contain signs of a female backlash. With endorsements from the National Rifle Association, the National Republican Congressional Committee and Republican Party elders Newt Gingrich and New York Rep. Peter King, Scozzafava was assured an easy victory. Then Hoffman declared his candidacy on the Conservative Party line. Hoffman was a lawyer and Tea Party activist who did not live in the district and, according to the local Watertown Daily-Times, “showed no grasp of the bread-and-butter issues pertinent to district residents.” Offered as his only selling point: ideological purity. Hoffman instantly became the point man for the national conservative movement, dedicating himself to fulfilling the right’s dream of a complete purge of moderate elements in the GOP. Campaigning in a local constituency of mostly Republican regulars, Hoffman behaved as though he were running in a presidential primary. He slammed Scozzafava for supporting abortion rights and gay marriage, substituting the hot button issues that had electrified the national Tea Party movement rather than the bread and butter concerns of the working class district he campaigned to represent. • Mark McKinnon: The GOP Surge Isn't Obama's Fault• Peter Beinart: Behind the Democratic Wipeout • Max Blumenthal: How the Right's Point Man Went Down in Ny-23• More Daily Beast writers on the election resultsHoffman’s appeals to cultural resentment attracted zealous support from a who’s who of far-right icons, from Fred Thompson to Glenn Beck, from Rush Limbaugh to Sarah Palin. The former Republican vice presidential nominee recorded a robocall for him a week before Election Day. Tim Pawlenty, the Republican governor of Minnesota, sought to establish his conservative credentials in advance of an expected 2012 presidential run by endorsing Hoffman. The National Organization for Marriage, an anti-gay religious right group, commissioned a poll supposedly proving Scozzafava’s support for gay marriage had doomed her (the sample size was only 318 likely voters). Meanwhile, cash poured into Hoffman’s coffers through conservative outfits from the Club For Growth to the American Conservative Union. By imposing themselves on a parochial-minded electorate, however, the outside conservative who seemed to have lifted Hoffman’s chances had in fact set the stage for his demise. When the Watertown Daily-Times endorsed Owens, its editors predicted that “Northern New York will suffer” if Hoffman fulfilled his anti-government campaign promises. Thus the right-wing teabaggers pouring into New York’s 23rd were perceived as carpetbaggers. While the female vote is impossible to quantify so soon after the election, the personal attacks by a mostly male gang of assailants led by Rush Limbaugh on Scozzafava, one of the most accomplished female Republican legislators in New York political history, may have turned women solidly against Hoffman. The five percent protest vote that Scozzafava garnered, even though she dropped out, will almost certainly contain signs of a female backlash. Besides Erickson, only Democrats seemed to be celebrating the news. “A Democrat close to the administration could only say: ‘Holy f---ing sh--!’ over and over when I called for comment [about Owens’ victory],” reported Elizabeth Benjamin of the New York Daily News. With their great crusade in New York’s 23rd extinguished, conservatives have shifted their focus to the good news in New Jersey and Virginia, where, following historical trends, Republican gubernatorial candidates trounced their Democratic rivals. Hoffman, once the conservative movement’s white knight, has been tossed down the Orwellian memory hole. 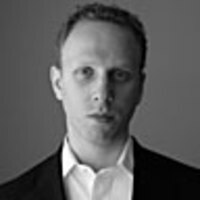 Max Blumenthal is a senior writer for The Daily Beast, writing fellow at The Nation Institute and author of Republican Gomorrah (Basic/Nation Books). Contact him at [email protected].